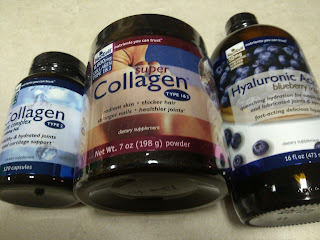 I recently had the opportunity to work with Neocell on some of their beauty products which I fell in love with. I am excited to share a different set of products with you - Hyaluronic Acid Blueberry Liquid, Super Collagen Type 1&3, Collagen Type 2 Joint Complex. Since around age 5 I have had to live with Arthritis. It has been such an interesting thing to grow up with. When I was younger, I was told that exercise and sports would make it worse so initially my life was limited. Not only did my parents pull me from the dance classes I was in at the time I was diagnosed but they restricted me from playing other sports until I was at least 8 or 9. Since then they (the doctors) have determined exactly the opposite - the more active you are the better it is for your joints. Because I have always been such an active individual, I have just learned how to deal with the pain, soreness, and stiffness. I have even learned how to predict the weather as approximately 24 to 48 hours prior to any major moisture changes in the air, I start to get terrible pain in all my joints. 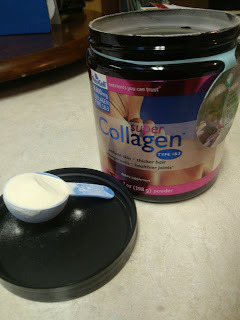 After some conversation with Neocell regarding all my "issues", I decided to try the 3 products in combination together to see how it would affect my arthritis as well as my increases in working out. The Collagen Type 2 Joint Complex "provides essential nutrients for complete joint support. Supports joint comfort and mobility May help with joint swelling Synovial ﬂuid for joint cushioning." These come in pill form and were nothing to take. I experienced no nasty after taste or any gross burps like you tend to after vitamins. Even Kevin has been taking them and noticed a difference in his injuries. 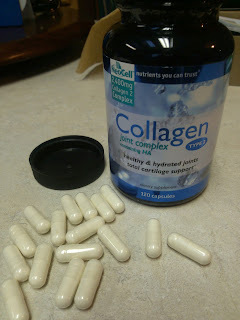 The Super Collagen Type 1&3 "repairs connective tissues for improved elasticity; improves circulation; promotes wound healing Glycine builds lean muscle to help burn fat while you sleep". 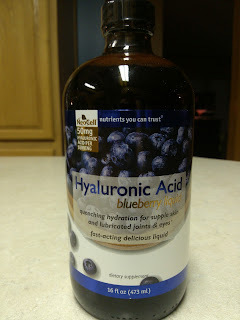 This comes in a powder form which works best when combined into a smoothie similar to protien powders. I actually enjoyed mixing it in my morning coffee to give it a nice creamy flavor. When taking this in combination with the Super Collagen Type 1&3 must be taken a minimum of 1 hour apart to prevent the two proteins from binding. Hyaluronic Acid Blueberry Liquid "helps support the appearance of smooth, supple skin, as well as provide lubrication to the joints and eyes." 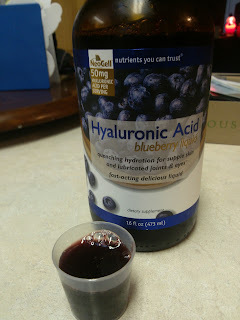 This comes in the liquid form and you take a medicine cup full everyday by itself or mixed with other juices. I thought these tasted yummy even though it was a little bitter/sour tasting. I drink mine alone. Initially the affects were very subtle. However, I will say this after a few weeks of continuous use and starting my boot camp back up, I could definitely notice a difference. I have always had to take Ibprofen for my arthritis pain and I have found I need it much less now. I can clearly notice the relief of pain. I even felt almost more flexible after taking it these past couple weeks. Stretching has become more enjoyable and not just a necessity. Recommendation: I thought all three of these were great! I experienced quite a bit of relief and they helped Kevin as well. 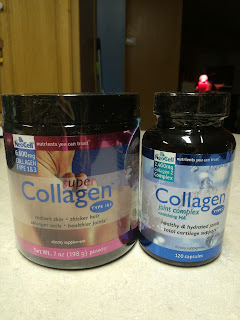 These even have more health benefits than just for your joints as well so its an all in one bonus! Plus the prices are very reasonable. 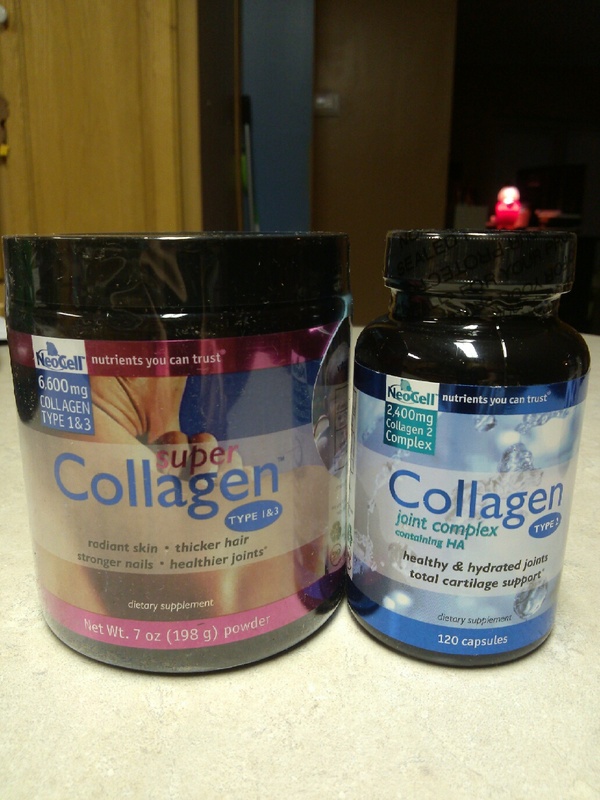 Neocell carries quite a few products all at great prices that I woul recommend checking out when you have some time (especially you beauty queens and fitness nuts)! Giveaway: NeoCell is going to give one of A Lucky Ladybug's lucky readers the same set of beauty products of their own! Look for this to begin on 1/17/13 as part of the "Get Moving 2013" Blog Hop!